Another week ends. To be honest with you, it just feels like Eventober turned into Eventember. A new month, but still a lot of happenings. Halloween event extended until November 15th, the hunt for Devil King Puff began last Wednesday, The Master’s Challenge brought us an amazing and thrilling tournament! And now? Well, we just keep on going! King Puff wants entertainment again! Memfisto won The Master’s Challenge just 6 days ago, while the next tournament is already in the sign up phase. It’s time for the next King Puff Cup! The tournament will take place on November 4th at 2pm CET. This time, the KPC staff decided to force players to use specific cards. Players will be allowed to use all cards and Masters excluding one copy of the FORCED cards. Each Master has an assigned FORCED card and Masters can't use another Master's FORCED card. Players may change their deck and Master freely in between games, as long as they use exactly one copy of the required Master’s Forced Card and do not include another Master’s Forced card. For example, a Volco deck must use exactly one copy of Dragon’s Nest. For the complete rules, an overview of the FORCED cards and for signing up, here you go! 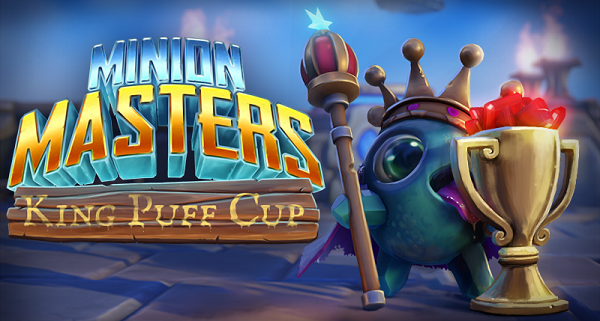 King Puff Cup 11 comes with a prize pool of over 5,000 Rubies and 50,000 Gold. Paris Games Week? Yes, but not without Minion Masters! 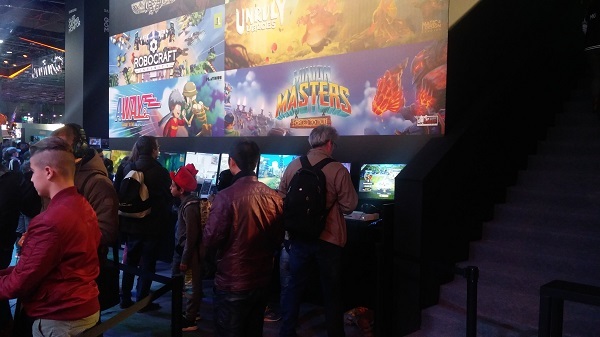 Since November 1st, the Paris Games Week powered by Coca Cola has been attracting a lot of visitors. There are a lot of games represented, like Player Unknown’s Battleground, Assassin’s Creed: Origins, Destiny 2 and… Minion Masters! 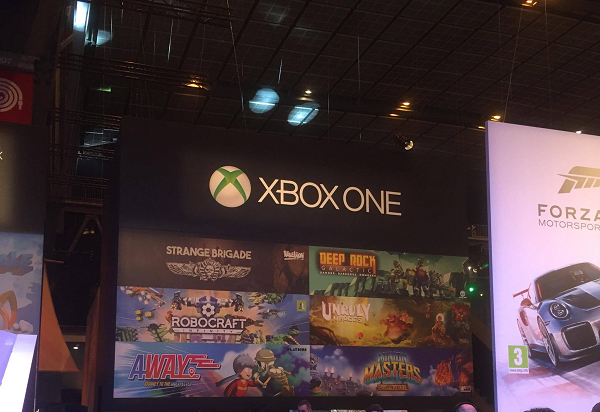 We’re officially represented at the Xbox Booth! 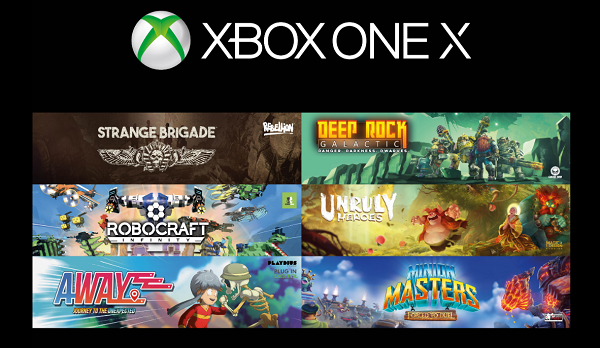 Interested visitors can play Minion Masters on the Xbox and are supported by the staff on the spot. The Paris Games Week is still running until November 5th. We try to talk a lot to our community. Sometimes during talks it happens, that we have specific questions to some Masters. This week, Zgriptor was such a case. And that’s why we had an interview with him. Thanks for having you, Zgriptor! For everyone who doesn’t know you, would you please introduce yourself? Hi, thank you for having me! I’m just a regular dude who happens to sometimes make a couple of Minion Masters videos on YouTube and I sometimes stream for a small, exclusive audience – shoutout to Nightbot for always watching my stream, love you man! As you can see, I also ooze high quality non-cringe humor so that’s a plus! On a serious note now, I’ve been playing Minion Masters since December 2016 and sometime during May-June 2017 I figured I could do some tutorial/beginner guide type of videos since almost no one did that. I began by focusing on the Draft mode first because I thought that that provided more of a challenge for newer players – what Masters to pick, how to build your deck, how to make use of cards that are normally not played in constructed mode and so on. You published several YouTube videos in the past. Some of them are meant to help new players with the Expedition encounters. That also means, you spent a lot of time in Expeditions. What do you think about our new Expeditions and how do you feel they help new players? The problem right now is that there aren’t all those expeditions available and thus new players have to rely both on tokens and on the two existing expeditions to get new cards and that’s probably harder to do since the recent economic changes that basically converted gold into supplies. Don’t get me wrong, the newest feature which lets you choose in expeditions if you want to receive the card that you found or to receive its value in gold is really good. So, once again, when there will be more expeditions added I think that it is going to be easier to get the cards that you want compared to getting them from the Power Token system. Zgriptor, we saw you competing in King Puff Cup 10 and The Master’s Challenge. What are your thoughts on the current state of competitive Minion Masters and what would you like to see in the future regarding competitive events? Another tricky question. Anyway, as probably many have said before me I think that the game sometimes takes the shape of a more complicated rock-paper-scissors match. There are some decks to which you absolutely must bring 2-3 hard counter cards otherwise you have no chance of winning (let’s take Lightning Bolt -> Succubus Buff decks and Defenso Chopper -> Dragon Nest decks as examples). I’m not saying that there should be no counters but I think that the game would benefit if people were able to run more “all around” decks and rely on smart plays and efficient trades and pushes to win instead of “oh, I queued into X deck and I don’t have Y and Z counters, might as well concede”. In that sense, I find more enjoyable tournaments that have some “meta-breaker” rules, like KPC 10 or the upcoming one that FORCES you to use a certain card. Those rules will most certainly bring more variety to deck building and maybe give some less used cards a chance to shine. In the future I’d most likely like to see some new and “wacky” rules for the tournaments, something beyond simple card restrictions – how would a format in which you get to build half of your deck and your opponent builds the other half of your deck sound? Or maybe, everyone has to include Gax and 3x Blood Imps in their decks, see what comes out of that. We had some discussions on the Steam forums lately about “underpowered” cards. What’s the most underrated card in your opinion? For me, the most underrated card has to be Infiltration. It has a huge potential as a finisher in Draft, especially with Settsu but it should work fine on the other Masters too. In constructed however, you never see this card, and why would you, actually? You can run Beam of Doom as a more reliable finisher or just the ol’ regular Plasma Marines (cards that which might not be offered to you in draft). So yeah, that’s my underrated card. Not exactly underpowered but it doesn’t fit in the constructed meta. One last question, Zgriptor: where do you see Minion Masters in two years, based on today? • new game modes: maybe something in the form of Tavern Brawls from Hearthstone, maybe a Free For All mode or the elusive 2v2 Draft mode! • since you guys are already planning on implementing a spectate mode, I think that’s gonna naturally lead into an in-game tournament mode. • and finally, there’ll probably be big card expansion packs (think “Curse of Scrattramas”, “Puffs vs Scrats”, “Blackdrone Mountain with Scratnaros the Scratlord”) BetaDwarf’s note: At this point we kicked Zgriptor out for blatantly ripping off other games. Thanks for the interview, Zgriptor! If you want to leave some shout-outs, feel free to do so. Thanks once again for having me! I’m just gonna give a general shout-out to the Minion Masters Community – be you a streamer, youtuber, or just a regular player! Also, just as a small teaser, there might be some really cool Minion Masters stuff happening soon. Or there might not. Who knows? I certainly don’t. Don’t believe everything you read on the internet! Or should you believe? “What’s he talking about?” - you’re thinking right now. The world may never know... OR WILL IT KNOW? Well... we think that's enough for this week. Enjoy your weekend everybody and shake the ground of the flying arenas on Saturday, when the next King Puff Cup takes place.